ENTRIES ARE NOW OPEN – BE A PART OF IT! Across the weekend of 12-13 November 2016, the beautiful town of Bundanoon in the New South Wales Southern Highlands, will host a festival weekend for outdoor adventurers, which includes the iconic Highland Fling mountain bike marathon – one of Australia’s longest running, most iconic and most loved mountain bike events. 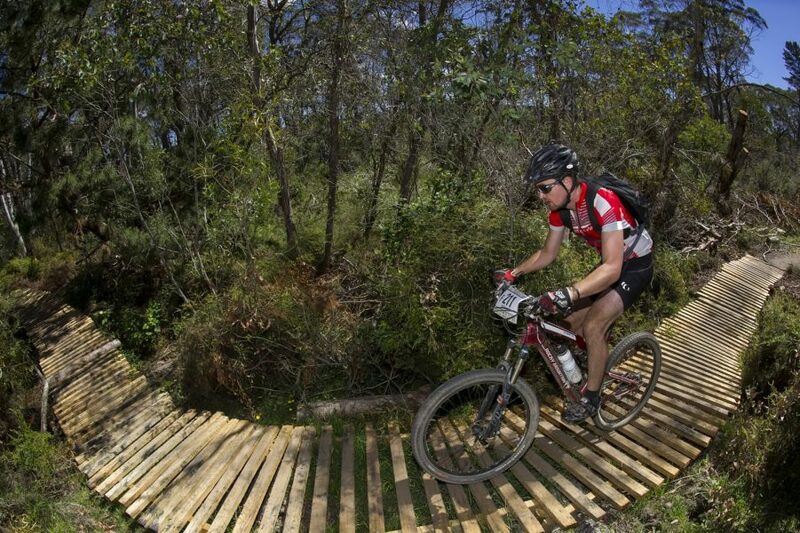 Each year the Highland Fling takes riders on a true mountain bike journey. A journey along narrow country lanes, and through lush private farmlands. A journey fording rivers, and plunging into stunning fern gullies. A journey that snakes through renowned flowing singletrack, and challenges across rocky, technical terrain. A journey that rewards riders for conquering climbs with spectacular views, sends them through villages and leaves them with a euphoric sense of achievement. The Some Fling (approx. 23km), Half Fling (approx. 55km), Full Fling (approx. 110km) and 100Mile Fling (approx. 160km). Kid’s Skills Clinics: Always a sell-out the kid’s skills clinics will be back for next-gen racers to hone their technique pre the Sunday Kid’s Fling with cornering, rock gardens and a balance log. The Rolloff World Championships: The great leveler in cycling – and no pedaling required. Do you have what it takes to go the distance? The Bundanoon Dash: The Bundanoon Dash is a Highland Fling race prerequisite. Riders have the chance to warm-up the legs ahead of Sunday’s main event by racing in this fast and furious sprint around the town, finishing with the climb up the feared Constitution Hill to the finish. Saturday will also host the Pearl iZUMi Bundy Run, taking trail runners on either a 6km, quarter or half marathon journey winding from the centre of town through a stunning, but challenging Morton National Park.